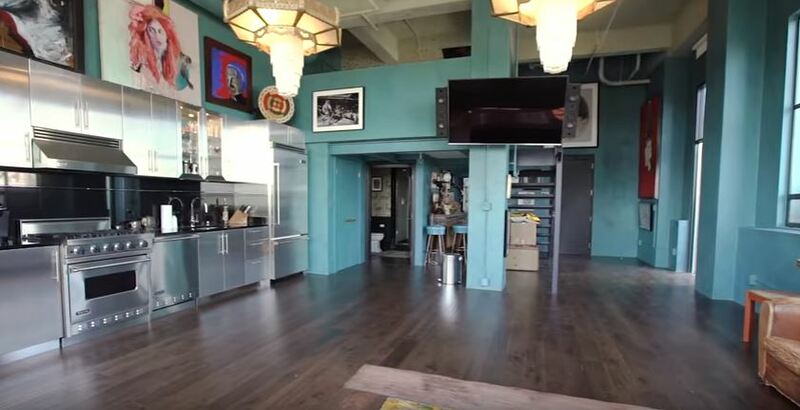 Johnny Depp just put his sprawling Los Angeles penthouse on the market, giving riffraff like us an opportunity to take a look inside the home of one of Hollywood’s most celebrated talents. Let’s get the ugly reality out of the way first. Yes, this is the penthouse where the infamous fight between Depp and his ex-wife Amber Heard allegedly went down. So it’s easy to see why Depp is eager to move on. But one look through the property gives you the idea this was a place he loved. 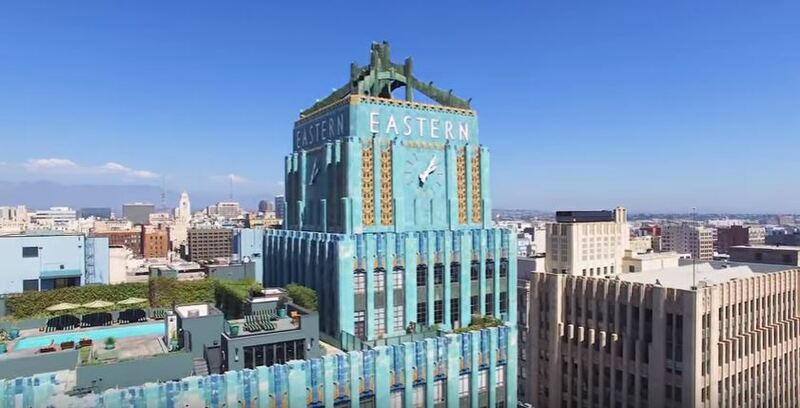 The penthouse is in one of LA’s famed art deco treasures, the Eastern Columbia Building, which sits right in the heart of historic downtown Los Angeles. 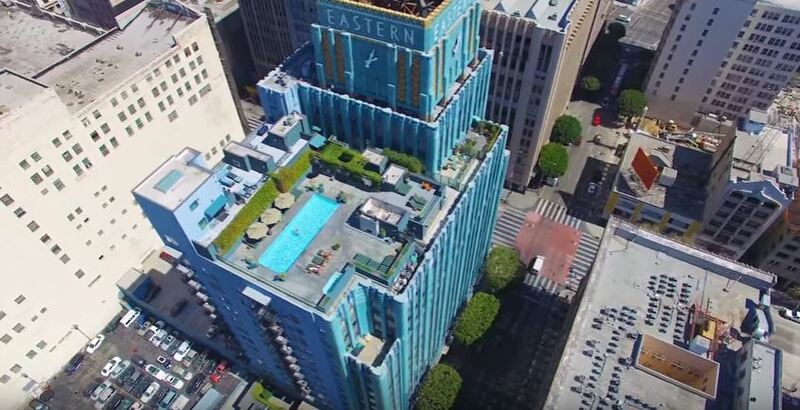 According to the listing for the penthouse, Depp acquired his first unit in the building more than a decade ago, but kept snapping up additional units as they became available. The result is a sprawling five-unit penthouse with character and architectural design for days, not to mention some of the best views of the City of Angels imaginable. The property is on the market for $12,780,000, but the individual penthouses can also be purchased on their own. 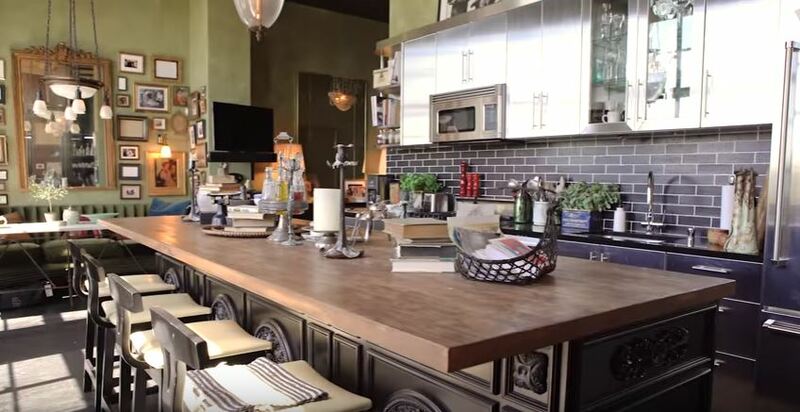 The tour of the house gives you exactly what you might expect from Depp. 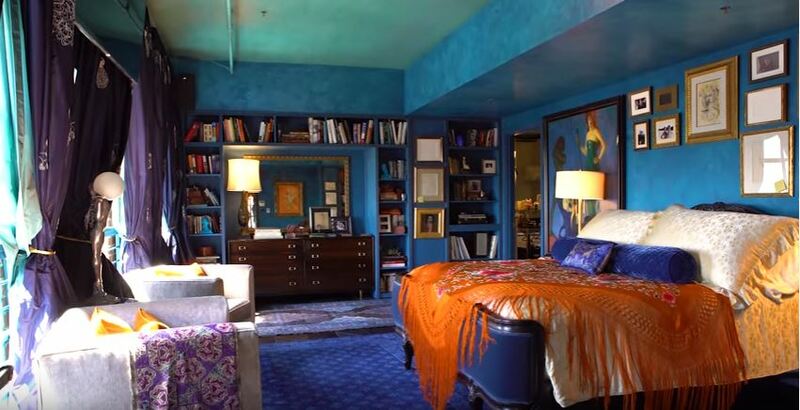 It’s eclectic and kooky, but also beautiful and full of rich character and quality. It’s a work of art all its own. In the video tour provided by the realtors, you can see the penthouse is the result of joining up several units. There are very distinct feels between the units, and I think I counted at least three kitchens. But there are so many beautiful things to look at, it hardly seems like you’d be bothered by it. There’s gorgeous art throughout, including a huge mural on a dining room wall that looks like it had to have been painted by someone noteworthy. If those richly colored walls could talk, could you imagine the bold-named gossip they could dish? For days. 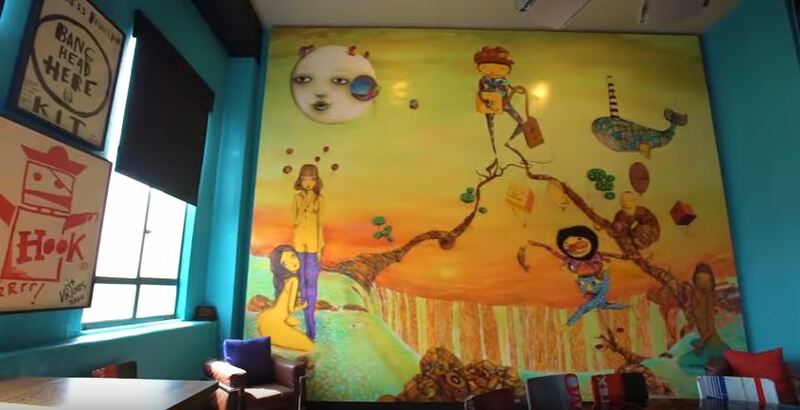 The above mural is by Brazilian street art team OSGEMEOS and sadly, it does not come with the penthouse. 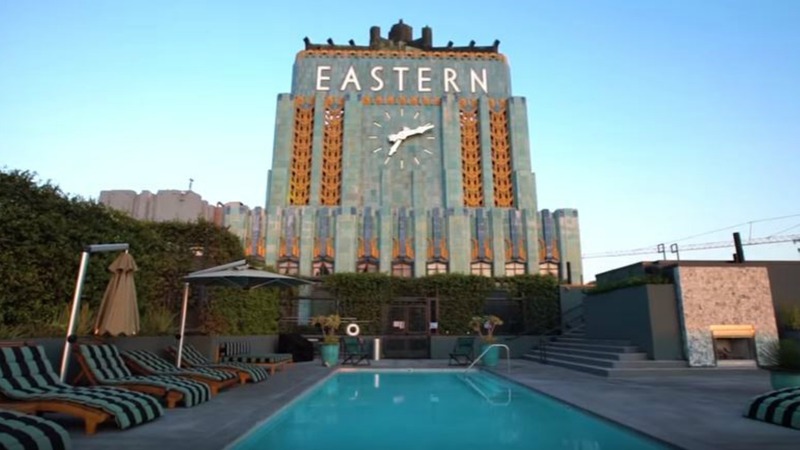 Of course, there’s also a rooftop pool and cabana area fit for Hollywood royalty. Take a look at the video tour. It’s pretty amazing.